Online Videos are becoming very popular among social networks, it is now essential to have Social Video Strategy. There are actually complete social networks are based only on videos like Vine for example. Previously i’ve talked about the effort Facebook & Twitter doing to compete with YouTube & how Mobile video on Smartphones drives high purchase intent as reported by eMarketer. Why Brands should use Mobile Videos in their Twitter Social Video Strategy ? Capture, edit and share 30 seconds video within the Twitter app on a mobile device. Best for self-expression on-the-fly. Capture, edit and share 6-second looping videos from the Vine mobile app. Best for creating short and simple videos in a fun format. Allows “Advertisers-only” to upload and share 10 minutes maximum video to Twitter via ads.twitter.com. Best for professionally produced content that’s ready to be shared with followers and beyond via Promoted Tweets. How Brands Can use Twitter Videos in Their Social Video Strategy? The 1st step is where brands create the buzz prior to the day of the launch itself. Recently, Twitter introduced “slow motion” for iOS users. Twitter also now supporting looping HD playback on Vine. Like this slow motion feature for Twitter, Vine’s HD upload hasn’t arrived for Android yet. When you see it, you believe it. With Videos; brands can really deleiver a message that can directly affect anyone watching it. that’s exactly what @Dove’s deal with Twitter did. 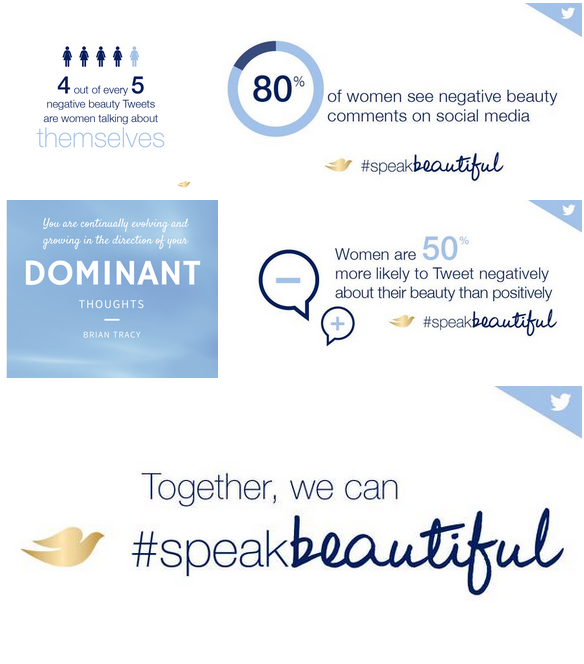 Dove + Twitter partnered together and created a remarkable campaign to try to make social media a positive place. The Video of the campaign was really touching and as i mentioned before, directly affected everyone who saw it. Over 5 million negative Tweets were written by women in 2014. But that doesn’t stop there, Twitter also acquired SnappyTv a really amazing tool for “Live Editing” Videos. Using SnappyTV LIVECUT, their cloud DVR editor, brands will have the tools to clip and share live video content as it happens. Twitter is a bridge, not an island. They recognize that more than ever before, brands are running integrated marketing campaigns across different channels. data shows that brands other marketing activities work better when you integrate Twitter. Brands certainly would want to consider Twitter Videos in any sponsorship they do for Big Moments & Events like Oscars, World Cup, Formula 1, MotoGP etc..
Where Can brands find creative talents? With 9,950 creators; Niches becomes the leading network for social media creators. Either as startup or a job seeker, executing a campaign with the right targeting can help you secure a deal or get a job.